Many procedures produce a point source of gas or particulate contamination including nanoparticulates. 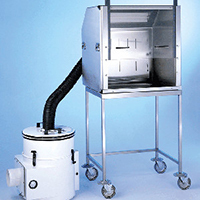 Germfree’s Source Capture (SC) Systems are designed to remove localized contaminants where they are generated. 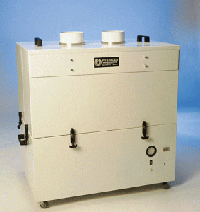 These units are utilized to provide filtration of particulates or fumes in laboratories, cleanrooms and other production areas. Our SC Systems provide flexible solutions for many applications and are adaptable for use with various lab enclosures. SC units are self-contained and easy to move.